Stay strong all summer long – or try something new! 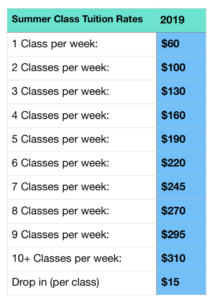 Our summer classes run 4 weeks in length. 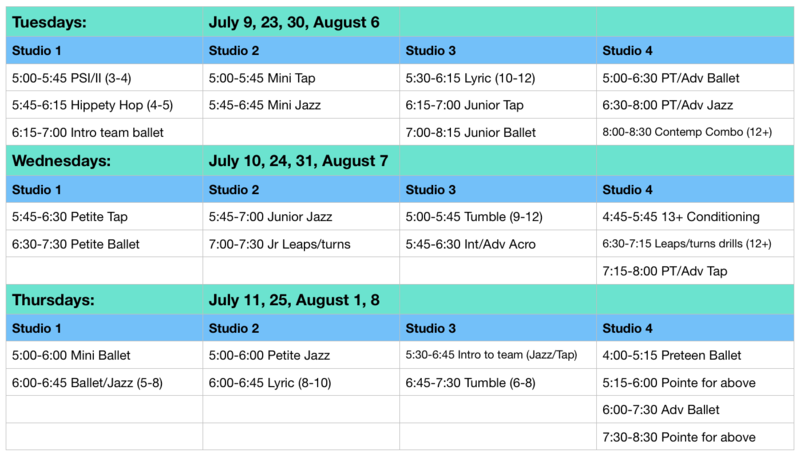 Please note: Our studio is closed the week of July 15 so that our staff can attend a dance conference. Click here for our Summer Brochure!